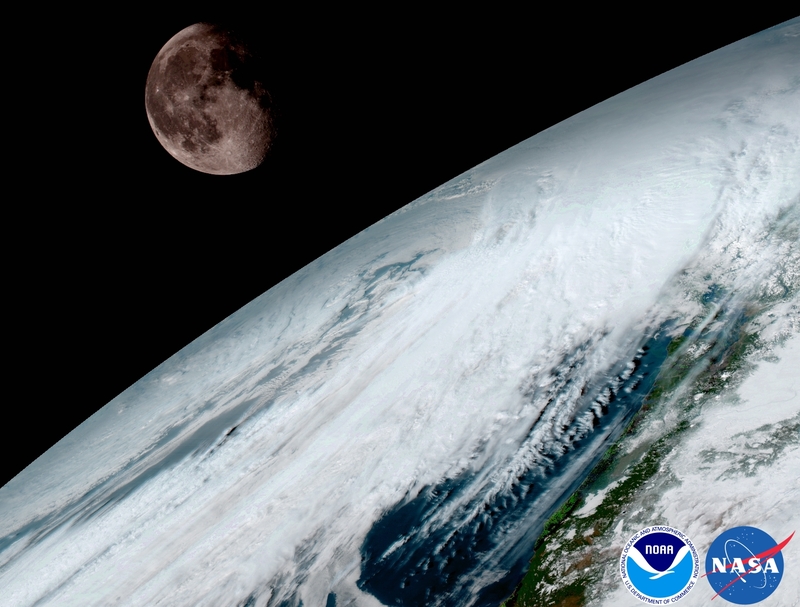 Explanation: Launched last November 19 from Cape Canaveral Air Force Station, the satellite now known as GOES-16 can now observe planet Earth from a geostationary orbit 22,300 miles above the equator. Its Advanced Baseline Imager captured this contrasting view of Earth and a gibbous Moon on January 15. The stark and airless Moon is not really the focus of GOES-16, though. Capable of providing a high resolution full disk image of Earth every 15 minutes in 16 spectral channels, the new generation satellite's instrumentation is geared to provide sharper, more detailed views of Earth's dynamic weather systems and enable more accurate weather forecasting. Like previous GOES weather satellites, GOES-16 will use the moon over our fair planet as a calibration target.